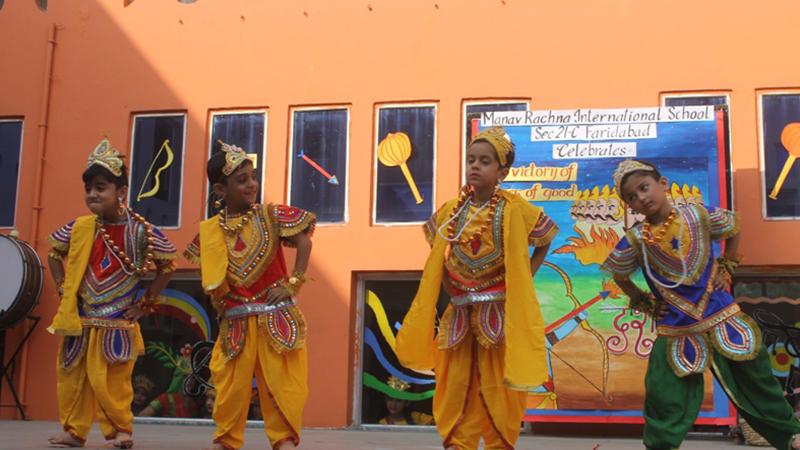 We, at Manav Rachna believe in emphasizing on Indian heritage to make our students aware of various religious and national festivals. In this pursuit, students and staff of MRIS-21C, Faridabad celebrated #Dussehra with full vigour and verve. Beautiful dance and drama depicting entire Ramayan was staged by K.G. Students. Importance of Navratra and reason behind it was informed to students through a beautiful dance performance. The Principal Ms. Seema Malhotra advised students to learn that they have to kill the evil to let the good prosper in their hearts. 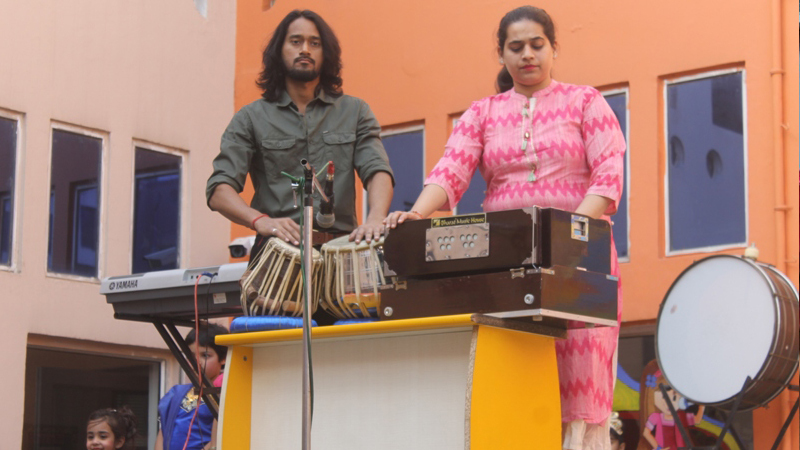 Students were also told that Ravan was a great scholar, Lord Shiva devotee, and a maestro of veena and a capable ruler but only because of his ego and pride he had to face defeat. His 10 heads depicted that he had the knowledge of six Shastras and four Vedas. Everyone present promised to see that they will get rid of one bad habit this Dussehra. The entire programme ended with lot of chee and chants of Happy Dusshera.